Bacteria were first discovered and scientifically studied in the 17th century, and although many hundred years have passed since then, and much has been done in research and science, it is believed that the majority of bacteria found on our planet are neither known nor described. Bacteria occur in various very interesting external forms for example, in addition to spherical and cylindrical shapes, there are also ball chains or shapes with many branches. Most of them with an average size in the range of 0.1-700 microns, are not visible with the naked eye. Bacteria multiply by cell division at different rates and their adaptability to environmental changes and extreme environmental conditions is enormously high. By mentioning the word bacteria, most people are thinking of diseases and infections, and this is well-founded, because certain bacteria are pathogens. But what are the supposed positive aspects of bacteria? 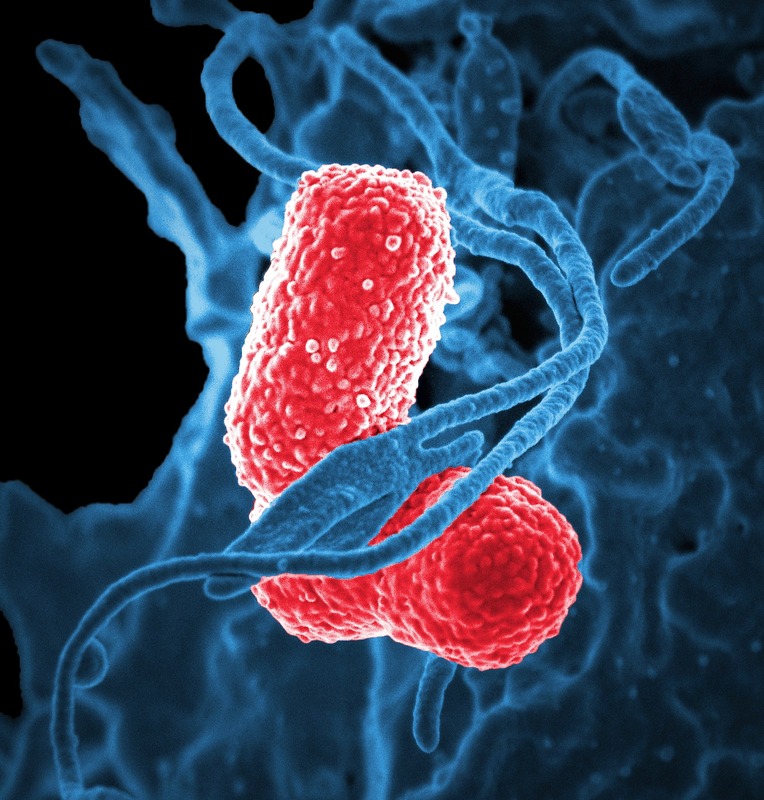 Nevertheless, bacteria are an important and even indispensable part of our lives. An unimaginable amount of bacteria (about 1014) is based in or on the human body to ensure a normal and healthy functioning of our organism, for example in the digestive tract where they form the so-called intestinal flora. The human body consists of 10 billion (1013) cells that is a tenth of the bacteria it is carrying. 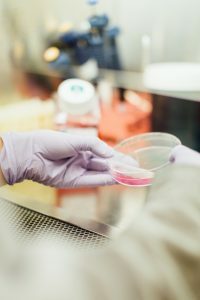 Moreover, by means of advanced biotechnological processes, bacteria have also been made useful for medical purposes, for example in the production of antibiotics or enzymes. And bacteria are also essential for our ecosystem, such as soil bacteria that are necessary for plants or bacteria that act as photosynthesis in our waters. For centuries, bacteria have also been used in the production of various foods such as dairy products, vinegar, beer or wine. That bacteria produce color has been observed since they have been discovered. Not many people have thought of using this color to dye materials. We at Vienna Textile Lab are intrigued by the idea of using bacteria as a colorant for textiles and therefore have made it to our mission to dye fabrics and other materials with the help of bacteria. Color, derived from bacteria, is a 100% natural biological product. During production, no valuable raw materials, for example crude oil is needed, as it is usual in the production of synthetic colors. No farmland or greenhouses are required to grow the color suppliers, the occurrence of bacteria is independent of the seasons and weather conditions or geographical location. No fertilizers are needed. 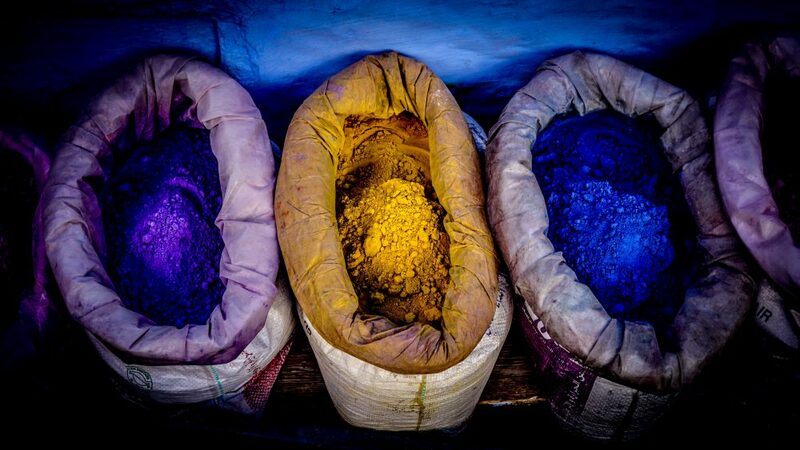 This represents a clear advantage over the production of other vegetable and plant dyes. Suitable bacterial strains are stored in laboratories and can be reproduced and multiplied as required. These are just some of the gigantic benefits of bacterial color for our climate (read more about: ClimateLaunchpad – national finale), our environment and our health. Accompany Vienna Textile Lab on an exciting path to a colorful future!